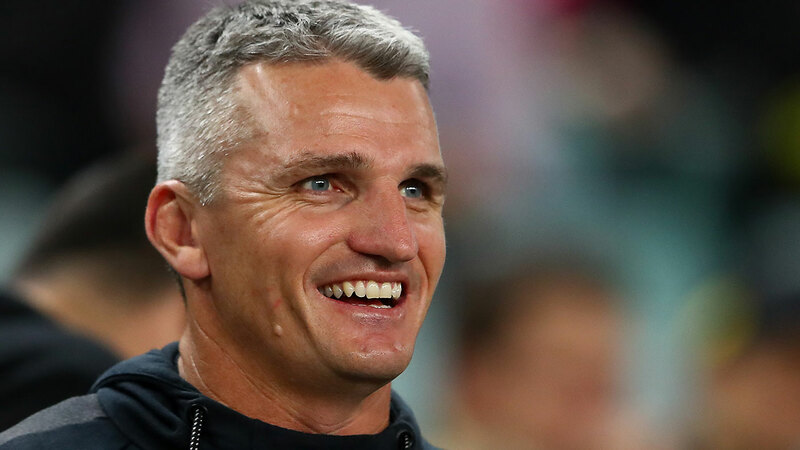 Ivan Cleary has reflected on the moment he gave up one of his kidneys for a family member in 2017 upon being unveiled as an official ambassador for Transplant Australia on Thursday. The 48-year-old famously donated a kidney to his ill brother, Ash, while coaching at the Tigers two-years ago. Fronting the media on Thursday afternoon, the Panthers coach reflected on the emotional period for his family in a hope to raise awareness for DonateLife. "If there's one thing good about being in a profile job, this is where you can drive a good message," he said. "The fact is we're trying to bring awareness to it. "It's obviously a big deal and when he was sick at the time, all you want is someone you love to feel better. It's pretty emotional, a good experience but an exciting one. "I found it a real rush me for to do that and it uplifted me. It was a cool thing for me to do. "I had to be careful how many beers I had early on but I'm all good now." "Despite having given a kidney to my brother, it was only 12 months ago that I realised I wasn't actually registered as an organ donor. Under the spotlight this week after a less than impressive start to the season, Cleary took the time to comment on his star play-maker son's recent drop in form. "I'm still Dad. I still offer the same advice when I wasn't coaching him," Ivan said. Nathan has come under fire in some quarters for his slow start to Penrith's season, immediately casting doubt on his grip on the NSW Origin No.7 jumper. Over three games, no members of the Panthers backline has scored a try. It is the first time the 21-year-old's perceived shortcomings have come under the spotlight since uniting with his dad at the foot of the mountains. But Ivan believes his halfback has laid enough of a foundation to regain his form. "And the main parts of his game - his defence, his kicking game - is OK," Ivan said ahead of Friday's grudge match against Wests Tigers. "I guess just like the rest of the team, we're not really firing and the brilliance isn't happening yet. But his foundations are strong. "So I expect his game to keep building throughout the year, not unlike the team." Under pressure following their 1-2 start to the season, the Panthers will be buoyed by the return of second row pairing Isaah Yeo and Viliame Kikau. It will be Kikau's first showing of 2019 after suffering a pre-season knee injury.